I recently met the proprietor of a well known publishing house from Riyadh who has published a large number of translated works in English. When I told him I was working on a translation he eagerly handed me his business card. When I mentioned it was a Hanafi work from al-Ahsa he expressed his amazement with the words “Are you sure?, Hanafi’s in al-Ahsa?” Unfortunately I was unable to convince him in our brief conversation of the existence of these Hanafis. 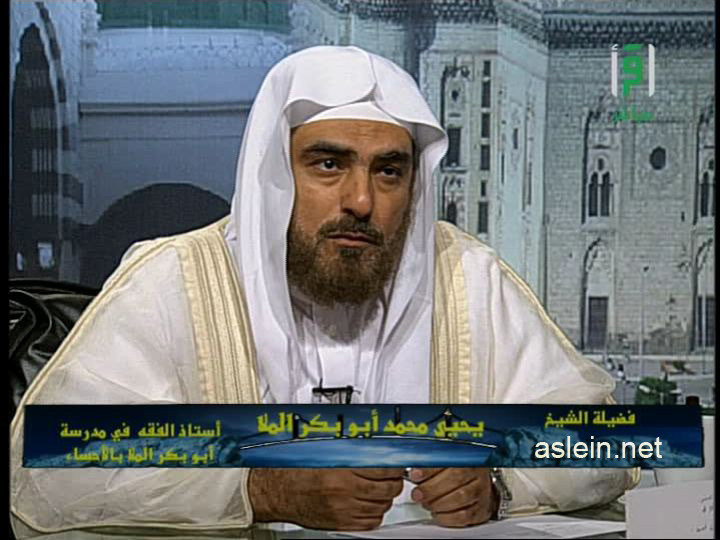 By good fortune the Saudi based Islamic Channel ‘Iqra’ recently hosted Shaykh Yahya al-Mulla from al-Ahsa on one of its programme. Please find a link to an audio recording of Shaykh Yahya al-Mulla’s appearance on the Iqra Channel. The programme is regarding the Hanafi Madhab. Above is a picture of the Shaykh, May Allah (Most High) allow us to continue to benefit from him. I also hope the proprietor of the publishing house from Riyadh is also gets the opportunity to watch the programme.